I remind you that we watch Europe because it is a FLASHPOINT of global tensions—an area of prophetic importance. A future European power will wage world war once again–it will happen in the near future– very possibly in the lifetimes of most of you reading this blog. The map of Europe over the past 1000 years has not changed much. Nations in Europe have long painful memories that make trust and forgiveness highly unlikely. As a result, Europe has been a place where wars continually flare and metastasize. Estimates of death vary, but most experts believe that nearly 100 Million people died around the world between 1914 and 1945, due to world wars and the concomitant effects of war, which include starvation, disease, famine and devastating ethnic purges. Europe was the flashpoint for these massive casualties. But why is Europe so prone to war? Crowded with nations, it is also crowded with people. As hard is it may be to believe, you will find that Europe has more people per square kilometer than does Asia. Europe is a patchwork of small and large nations. According German researchers Pan and Pfeil there are 87 distinct peoples of Europe; including Russia, Europe boasts a population of 780 million people. 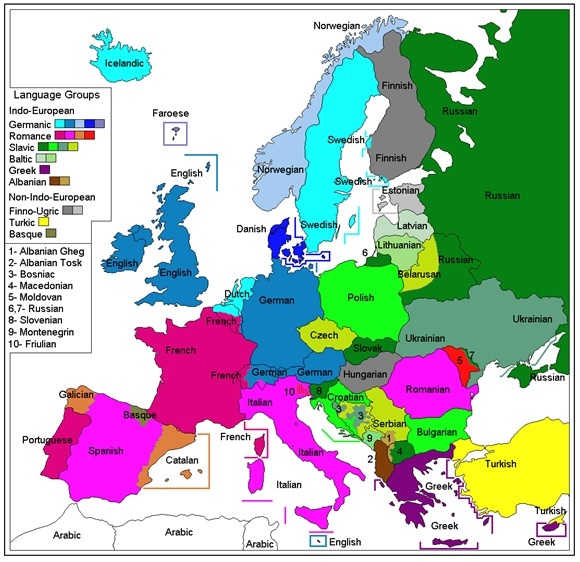 The 28 nations that make up the European Union–this Union of nations in Europe has 24 official languages. If ever there was a location on earth that could be called ‘Babylon’, it would be Europe. No other combination of nations matches the Bible’s warning of a final revival of the Roman Empire, a prophecy in the book of Daniel describes this mix of ethnic groups and nations of Europe—“Whereas you saw the feet and toes, partly of potter’s clay and partly of iron, the kingdom shall be divided; yet the strength of the iron shall be in it, just as you saw the iron mixed with ceramic clay. And as the toes of the feet were partly of iron and partly of clay, so the kingdom shall be partly strong and partly fragile. As you saw iron mixed with ceramic clay, they will mingle with the seed of men; but they will not adhere to one another, just as iron does not mix with clay ”(Daniel 2:41-43). Such a symbolic mixture of iron and clay is Europe’s many national, economic, cultural, religious and ethnic differences. But all these differences have created distrust, hatred and nationalistic tendencies—our nation is better than your nation. The continent is dominated by old grudges and unhealed wounds that go back hundreds of years. The most important question in the world is whether conflict and war have actually been banished or whether this is merely an interlude, a seductive illusion. Europe is the single most prosperous region in the world. Its GDP collectively is greater than that of the United States. It touches Asia, the Middle East, and Africa. Another series of wars would change not only Europe, but the world. The answer to the question of whether Europe has overcome not only the thirty- one years, but the long millennia of conflict that preceded it, is at the center of any consideration of the future. That’s the reason I’ve written this book. In many ways this is the subject that has shaped my life and thoughts. I was born in Hungary in 1949 to parents born in 1912 and 1914. My family was shaped in the horrors and terrors of Europe, not only in the thirty- one years (the period of time from 1914 to 1945—World War 1 & 2), but in their aftermath. We left Europe because my parents were convinced that there was a deep corruption in the European soul that could be hidden for a while but would always show itself eventually. Those who lived through the thirty- one years then had to live through the Cold War, where the decision of war and peace, the decision that would determine if they lived or died, would be made in Moscow and Washington. That there was no war in Europe is worth considering later, but as the threat receded the European commitment was that the thirty- one years never be repeated. Europeans ceded their empire, their power, even in some ways their significance, to the principle that they should never again experience the horror of those years nor live on its precipice as they did in the Cold War. The institution created to ban their nightmares was the European Union. Its intent was to bond European nations so closely together in such a prosperous enterprise that no nation would have any reason to break the peace or fear another. Friedman, George (2015-01-27). Flashpoints: The Emerging Crisis in Europe . Knopf Doubleday Publishing Group. Kindle Edition. Europe does not want to see a repeat of the great World Wars—wars that ravaged their continent, killed their young men and destroyed 6 million Jews. With this in mind the survival of the European Union is a high priority to many of the leaders in Europe. The European financial crisis can destabilize the world. What happens between Greece and Germany, for example, could send large waves of uncertainty throughout Europe—a Greek exit will cause the world stock markets to spasm. People do not want to see their retirement accounts take a nose-dive, nor do they want to see their home values collapse because of financial instability that emanates from Europe. Why is Germany important? 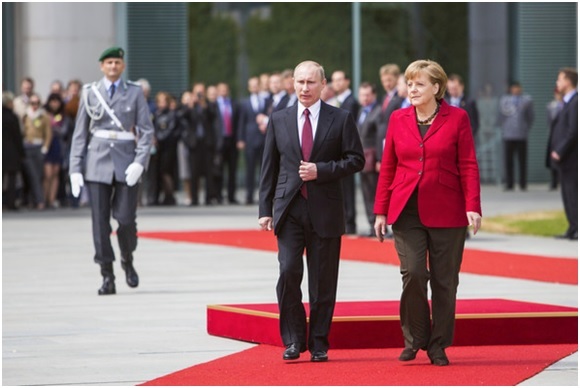 Germany is the political and economic hub of Europe. Germany has the fourth-largest economy in the world. It receives over 50 percent of its income from exports, half of which went to the European free trade zone. Germany is Europe’s major creditor. Southern Europe is Europe’s major debtor (this would include Greece). The Germans insisted on austerity to address Europe’s massive debt problem. International institutions, including the International Monetary Fund, agreed with Germany’s solution for Europe—stop spending money on social programs—and fire more state workers. This austerity approach to southern Europe’s financial troubles has created resentment—Greece, Portugal, Spain and Italy have seen a significant rise of anger towards Germany… because of the tighten your belt approach Germany has imposed upon these nations. The old attitudes of mistrust and resentment are once again rising in Europe. Trust between nations is deteriorating. This can lead to a fragmentation of the 28 nations of Europe called the EU (European Union). If this occurs, at the very least, you will see a swoon in the world stock exchanges. Why– Because, stock markets hate uncertainty. Germany has intense interest in having the European Union (EU) survive. Remember, Germany is dependent on exports—it exports much to EU member states. Yet it is Germany that must lead Europe through the economic crisis. “Germany must do everything it can to discipline the European Union without motivating its members to leave”—George Friedman of Stratfor. This is an almost impossible challenge for Germany. And then there is Russia…Germany and eastern European nations such as Poland and Romania are concerned about Russian advances into Ukraine. An increasing number of European nations fear that NATO cannot or will not defend them, and that America is shying away from conflicts around the globe—whom can Europe trust to defend against an aggressive Russia? We will address that topic in a future blog.